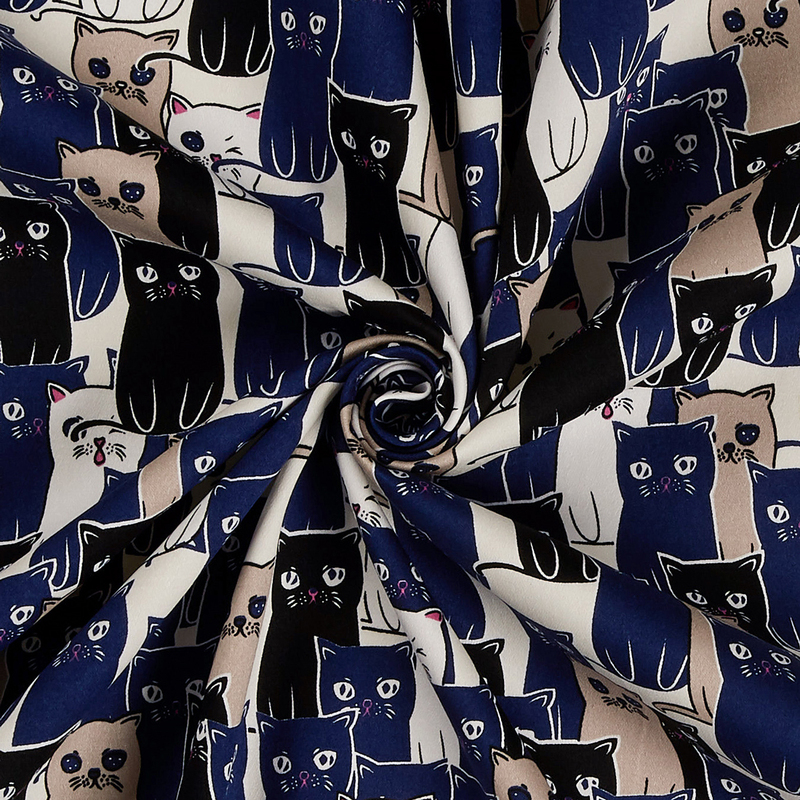 The Cats Blue has an amazing print in strikingly graphic tones. This print would make anyone smile and its cotton sateen finish makes it a very versatile fabric indeed. It would make amazing structured garments and would look fabulous in dresses and skirt.